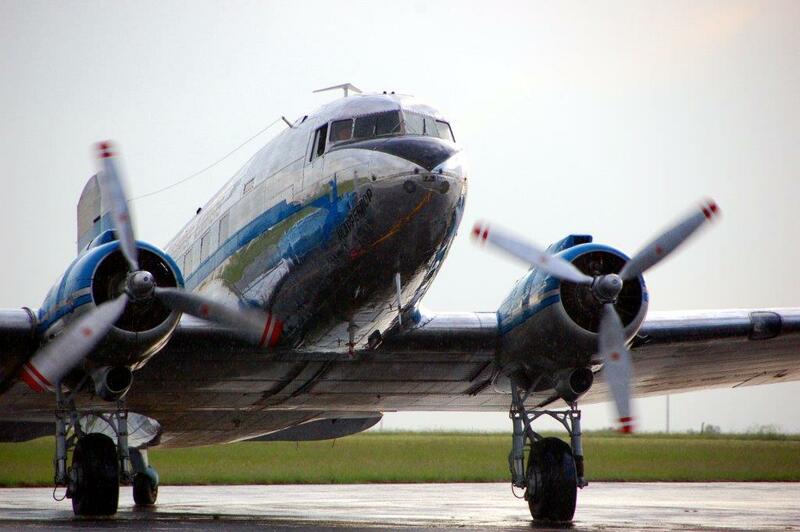 Our DC3 has just returned from a Family Flying Safari run by Bushtracks Expeditions. Visiting the Sabi Sands, Livingstone and the Okavango Delta, it was an expedition enjoyed by all, adults and children alike. First stop on the itinerary was Mala Mala where we landed at the Mala Mala Airstrip, a convenient 10 minutes away from the lodge. The large square aircraft windows provided ample opportunities for game viewing by one and all, many of whom were on their first visit to Africa,- shrieks of delight accompanied the roar of the Pratt and Whitney engines as we landed with a small herd of elephant not far from the runway. Fabulous game viewing in the game rich area meant we had new African converts on our soils. A 4 hour flight via Polokwane to Livingstone followed two days later, culminating in a Flight of Angels over the Victoria Falls, much to the delight of the amateur photographers we had on board. The delights and thrills of bungee jumping, gorge swings and elephant rides awaited our visitors all of whom found the adrenalin rushes much to their satisfaction. On top of that new friendships were made when the children visited the Ebenezer Village School. Finally Klapperkop flew the guests to Maun where they transferred onto smaller aircraft for a visit to Xakanaka in the heart of the Okavango Delta. Comments from the group about the aircraft, the crew etc were unanimous – “this is one cool aircraft” said young Kathy Fowler – flying has never been so much fun. The DC3 is available for charter and is ideal for safaris, golf tours, incentives and corporate events. It seats 24 people and comes with VIP porcelain catering. The aircraft can be dressed to reflect the corporate image of the event. For additional passenger comfort, it also has a toilet on board. Currently this aircraft is available for charter. If you would like to view this aircraft or require us to quote on your next incentive or safaris, please do not hesitate to contact us at any time.